FUEL has dual identities. It is both a gift shop and a business course. Located at the Jutila Center Campus, Suite 307, to the right of the lobby, the Finlandia University Experiential Learning (FUEL) Studio and Gift Shop is a student-run retail and consignment business. Each semester a new group of students leads the store by setting entrepreneurship goals, bringing in new items to sell, and implementing their own improvements. Part of what makes the FUEL Studio and Gift Shop interesting is that it is always changing. FUEL Studio and Gift Shop offers a variety of items. Most notably, it offers art from our very own International School of Art and Design (ISAD) students and faculty. FUEL students also source locally made or distributed items such as coffee, candy, jams, candles, jewelry, art, purses, knitwear, clothing and more. The FUEL Studio and Gift Shop is open to the public. Check for store for hours. The FUEL (Finlandia University Experiential Learning) Course is an experiential course. Finnish education emphasizes the importance of experiential learning – or put another way, “learning-by- doing”. What better way to gain confidence and to test your abilities than to do something hands-on? Students across campus disciplines are encouraged to take this course. The interdisciplinary nature of the class means that students get to see entrepreneurship priorities and solutions through another FUEL team member’s perspective. Famous design houses such as IDEO https://www.ideo.com/ intentionally hire across disciplines go foster creativity. It happens at FUEL too. Students run the store throughout each semester. Students “take ownership” of the store by making key recommendations and decisions about products, marketing, advertising, merchandising, etc. Students are encouraged to network within the community by either attending Keweenaw Economic Development Association (KEDA) meetings, attending First Thursday meetings with the Finlandia Universities’ International School of Art and Design, attending art fairs, and networking in general to source items, sell product, and communicate about the store. Daily operations – Day-to-day operations such as selling, closing and customer relations. Roles and Responsibilities – Students choose a title and area of interest such as accounting, marketing, sales, inventory management, merchandising, store design and/or web design. Subcontractor/Product Management – Students decide, individually and as a team which products are successful in the store and work with subcontractors to bring in more items. Class Project – Students identify an area of need for the store and go about creating a solution. This could range from a holiday sale, a radio interview, offering an art class, or creating a database. Finlandia was the recipient of a $150,000 Entrepreneurship Excellence in Teaching Colleges grant generously awarded by the Coleman Foundation. The grant contributed to the International School of Art and Design and its Design program. Design classes included learning modules that emphasized using the “Finnish Model” of design education in which design and business education collaborate in a cross-discipline curriculum with a strong focus on entrepreneurship and industry engagement. Denise Vandeville, ISAD Dean and Bonnie Holland, former Director of the Jutila Center and Business Incubator attended an Entrepreneurship Conference in Texas and formulated the idea of creating a hands-on entrepreneurial learning experience for students campus wide. During this time the FUEL concept was outlined, and meetings with stakeholder were held. During the Fall, ISAD Faculty and Corporate Relations Director Fred Knoch lead a team of seven students in the creation of a preliminary framework for the FUEL Store including business structure, layout and design. 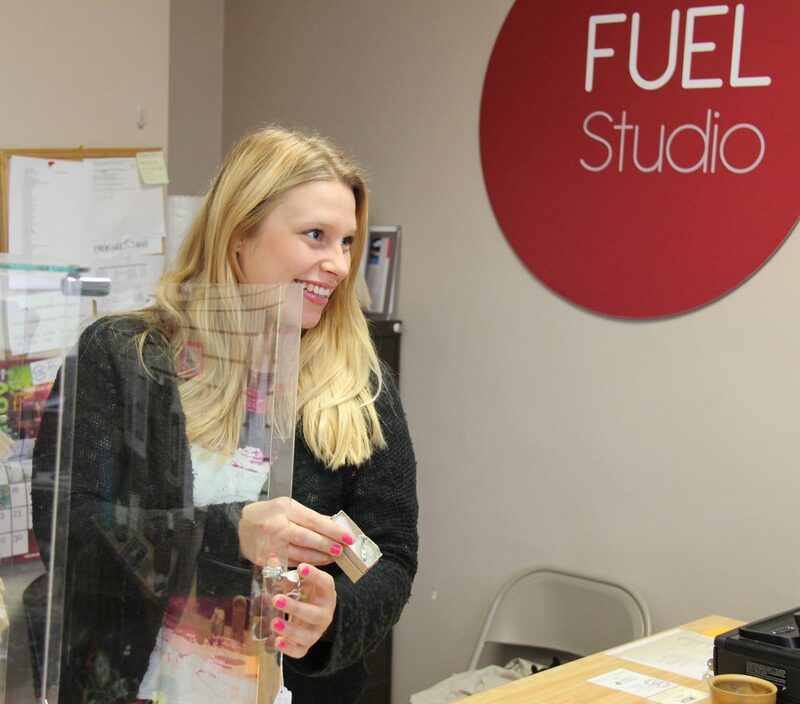 Entrepreneurship instructor, Lisa Casper lead her class to conduct marketing research and develop a Marketing Plan for the FUEL Studio. Spring FUEL Course and Gift Shop is open! FUEL Course is a collaborative project sponsored by the International School of Business Dean, Kevin Manninen, International School of Art and Design Dean, Denise Vandeville, and the Director of the Jutila Center, Karin Van Dyke. Lisa Casper is the course advisor. For more information, contact Kevin Manninen at 906-487-7371 or kevin.manninen@finlandia.edu. Check out the Fuel Studio on Facebook at facebook.com/FuelStudio. The Jutila Center is at 200 Michigan Street in Hancock.